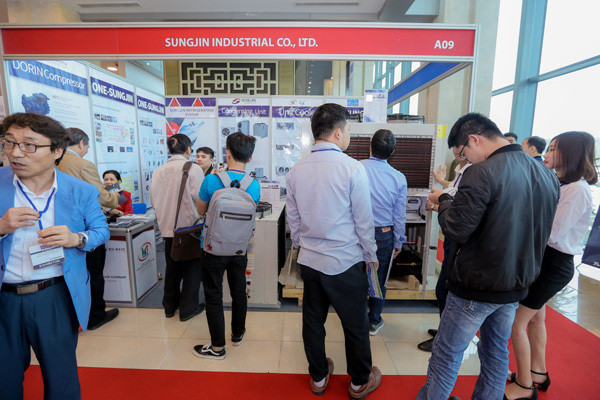 HVACR Vietnam, the one and only focused exhibition on heating, ventilation, air conditioning, air filtration and purification, and refrigeration systems (HVACR) in Vietnam, is back in HCM City on March 25-27 this year. With 12 successful editions to date, HVACR Vietnam offers the best platform for buyers and sellers in the industry to launch new products, reach out to buyers, appoint agents and distributors, and create brand awareness and establish market presence in Vietnam’s thriving HVACR market. Last year it drew 250 companies and brands and 7,906 visitors from 28 countries. The exhibition showcases the latest HVACR technologies in air filtration and purification, energy-saving/renewable energy systems, heat pumps, fans and ventilators, refrigeration, and air-conditioning equipment and HVACR green products made by local and international exhibitors from countries such as China, Germany, Japan, Korea, Malaysia, Singapore, Thailand, Turkey, and the UK. 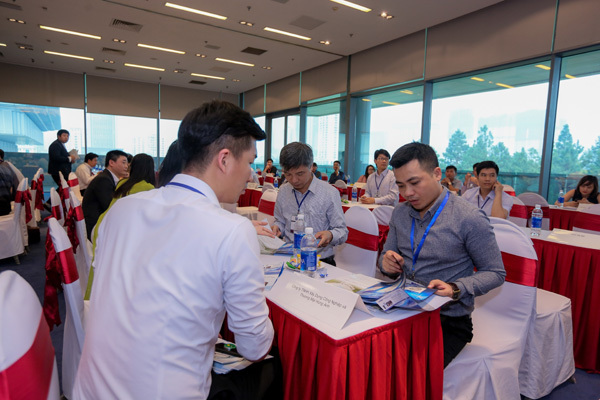 The highlights this year at the HVACR Vietnam include B2B meetings, online business matching, an industry networking session, and industry seminars. The B2B meetings are designed to increase the chances of exhibitors and buyers making quality business connections. Facilitating face-to-face meetings at the show between exhibitors and pre-qualified buyers, it allows them to have a quick introduction and exchange business cards so to take the discussion further offline. Last year the B2B online meeting systems facilitated more than 640 meetings over three days. The HVACR Vietnam online meeting system allows both exhibitors and buyers to make appointments online before the show and have conduct one-on-one business meetings during the event. This makes it easier for exhibitors and interested buyers to find potential clients, identify investment opportunities, forge partnerships, and broaden their business network. On top of that, HVACR Vietnam offers ample opportunities for participants to mingle and catch up in an informal setting. It provides a great setting for them to meet new people, build new connections and expand their network among the HVACR business community. The HVACR Vietnam seminars present a series of professional seminars featuring collaborations with relevant trade associations and industry experts on the latest HVACR technologies and trends, cooling techniques, sustainable green building, and energy-efficient solutions for the industry. Supported by the Vietnam Society of Refrigeration and Air-Conditioning Engineers (VISRAE), the highlights include a prominent speaker from the society offering expert insight on air conditioners and cooling technologies for environmental protection and efficient power usage. This knowledge exchange platform is a valuable learning resource for all visitors to the show as well as a good opportunity to meet and network with leading industry executives. HVACR Vietnam is supported by the Ministry of Industry and Trade, Vietnam Association for Building Materials, the Vietnam Association of Construction Contractors, the Vietnam Chamber of Commerce and Industry, the Vietnam Green Building Council, the Vietnam Society of Refrigeration and Air-Conditioning Engineers, the International Institute of Refrigeration, and the Asia Air Movement and Control Association. Global sales of energy efficient commercial HVAC systems are expected to increase to $47.5 billion by 2024, according to Navigant Research. The Southeast Asian market is forecast to reach $13.63 billion by 2023 and expand at a CAGR of 9.30 per cent in 2017-23, according to a report by BIS Research. Vietnam, which is shifting from a rural-agrarian society to an urban-industrial and services-based economy, is seeing a significant increase in urbanisation, which is expected to increase to 45 per cent by 2020. All these opportunities and growth have attracted investors from overseas, such as Johnson Controls-Hitachi Air-Conditioning, which is establishing a new venture in Vietnam, due to prominent growth in the Vietnam HVACR market. HVACR Vietnam is the most established and recognised event in the industry in Vietnam. With opportunities abounding in the HVACR industry, HVACR Vietnam is the best platform for industry professionals to establish a market presence and seal business deals. Pre-register now to participate in HVACR Vietnam 2019 as a visitor or buyer – email hvacrps.marketing@informa.com!